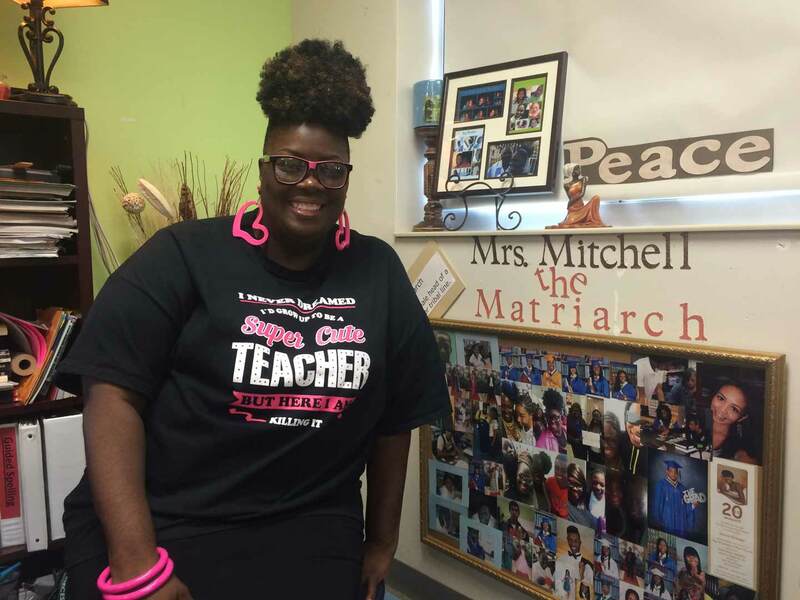 At the start of every school year, Tan Mitchell polls her ninth grade students at Miami Central High School to see how many have lost someone to gun violence. One by one, nearly all their hands go up. Mitchell doesn’t include herself in the poll, but the veteran teacher of 15 years says she’s lost count of how many of her students have been killed by guns. And some of her students have survived being shot. Of the more than 850 children and teenagers treated for gunshot injuries at Jackson Memorial Hospital’s Ryder Trauma Center over the past decade, nearly 90 percent lived. Last week, one of Mitchell’s former students, 20-year-old Gerome Battle, was sent to the hospital in critical condition after bullets ripped through a Martin Luther King Day event in Liberty City, injuring eight people including five children and teenagers. Miami-Dade County Public Schools Superintendent Alberto Carvalho expressed his outrage on Twitter: “Celebration of Dr. King's life of peace shattered by the cowardly and indiscriminate shooting of the innocent in our community,” he wrote. Carvalho has emerged as one of Miami-Dade County’s most public voices on gun violence impacting school-aged kids. He’s advocated for stronger witness protection, more mentorship programs and parental involvement in schools. Last year, the school district unveiled an initiative called Together For Children, a partnership with Miami-Dade County, The Children’s Trust and more than a dozen public agencies and non-profits, aimed at bolstering services like counseling, after-school programs, and early childhood education, with an emphasis on 20 zip codes where students have been impacted by gun violence. The purpose is to address some of the root causes that can lead to gun violence. The Miami-Dade school district has also implemented initiatives like Project Prevent, Campus Shield, and Sandy Hook Promise to improve school security and prevent conflict on campus. But in pockets of the district where gunshots are a steady backdrop, teachers and staff say their schools lack the resources to support kids dealing with the impact of gun violence. WLRN sent more than a dozen requests over three months to speak with Superintendent Carvalho. He has yet to agree to an interview. Frank Zenere leads the district’s crisis team that responds to tragedies affecting students and teachers. The team is typically dispatched to schools after a principal calls them. Zenere, a psychologist, and his colleagues might visit an entire classroom or meet with students and administrators to figure out who is most affected by a tragedy like the death of a student. “Just like physical triage, you prioritize who needs immediate treatment, and perhaps, who doesn’t need that immediate response but needs attention nonetheless,” said Zenere. Nonfatal shootings seldom spur an intervention. Records show the crisis team responded to three nonfatal gun-related incidents affecting public school students from the first day of school in August 2015 through October 2016. Two of those incidents were off-campus shootings that left students injured. In the third, bullets pierced the walls of an elementary school classroom. No one was hurt. Miami Dade County Public Schools’ Crisis Team visited three schools after nonfatal gun-related incidents during the 2015-2016 school year. After other shootings, principals did not request their services, or may not have been aware whether their students were affected. During the first 10 months of 2016, according to data from the Ryder Trauma Center at Jackson Memorial Hospital, 60 school-aged kids were treated for gun-related injuries. It’s unclear how many of the gunshot victims were public school students. There is no one clearinghouse that tracks young survivors of gun violence, making gathering data on this population difficult. The previous year, the school district asked its police department to compile a report of the number of school-aged kids who were shot. After reaching out to more than 30 local police departments, the district’s police reported 60 school-aged kids survived shootings. For that same time period, 2015, there were 92 school-aged survivors who were treated at Ryder. When it comes to responding to the schools attended by students who survive gunshot wounds, Zenere said the only way for his team of mental health professionals to show up at a school is if the Crisis Team is asked to come. Sharon Krantz, who oversees counseling for all 400 Miami-Dade public schools, said schools often serve as an anchor for students in the midst of crisis. “They feel safe in school,” she said. As school funding around the country has been squeezed and more resources have gone to improving test scores and academic outcomes, schools have been left with fewer staff to provide psychological and emotional support to students. The number of counselors known as “trust specialists,” who specialize in individual and group counseling, has gone from 48 to 30 in the last two school years. According to the school district, their caseloads are based on “need,” but the district doesn’t tally how many students each one sees. “How do I know when it’s gone to a point past, ‘I need to vent, I need to express myself?’ I’d be calling the trust specialist all day every day,” Mitchell said. For students who need more support than is available at school, counselors sometimes work with families to find help outside of school. The school district doesn’t track how many of its referrals result in students or their families getting help. Krantz said the district tries hard to find solutions to overcome obstacles like cost and transportation issues. Outside therapists sometimes meet students in the cafeteria or on a school patio to make the service more accessible.